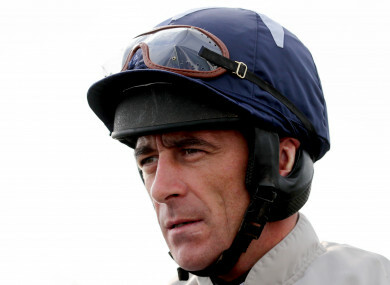 THE IRISH SOCIETY for the Prevention of Cruelty to Animals (ISPCA) has questioned the length of the ban imposed on jockey Davy Russell, for striking a horse with his hand. Russell was issued a four-day suspension for the offence, following a review by the Irish Turf Club’s appeals body. The 38-year-old was initially cautioned for appearing to punch Kings Dolly before a mares handicap hurdle at Tramore racecourse. The organisation’s appeals body was later appointed to review the findings of the case ‘on the grounds that it was unduly lenient,’ which led to Russell’s four-day ban. The ISCPA charity has since released a statement on their website, in which they welcome the suspension, while also questioning the length of time that Russell will be out of competitive action. “The ISPCA welcomes the four day suspension from racing imposed on jockey Davy Russell on September 5 2017 by the Irish Turf Club following a review by their Appeals Body into the unduly lenient sanction imposed at the original hearing on August 26 2017. However, we believe a longer ban would have been more appropriate and we are disappointed that the ban will not come into force for two weeks leaving the jockey free to ride in the upcoming Listowel festival. “That said, we sincerely hope that the Irish Turf Club have learned an important lesson from this incident and will treat similar incidents with the seriousness they deserve in the future. Email “'A longer ban would have been more appropriate' ”. Feedback on “'A longer ban would have been more appropriate' ”.